Artificial grass doesn’t grow which means that you will save yourself a considerable amount of time that would have been spent with routine garden maintenance. From the weekly lawn mowing to the trimming, planting, fertilizing and weed killing; by installing artificial grass you can say goodbye to this mountain load of responsibility once and for all. All of this equipment and huge range of products costs hard earned cash to fund which means that you often find yourself out of pocket when it comes to the end of the month. 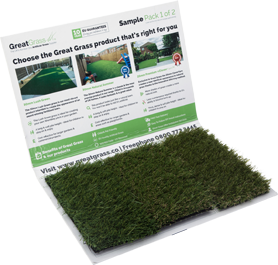 Since you no longer require these items your bank balance will be nice and healthy with an artificial turf! Another way to deal with a natural lawn is to hire someone to carry out the work for you and whilst this will save you time it tends to cost a lot more. In fact the monthly fees for professional lawn maintenance has drawn comparisons with the cost of loaning a car! Again, an artificial turf means that you can show your gardener the door because our low maintenance guarantee means that you will no longer require their services!